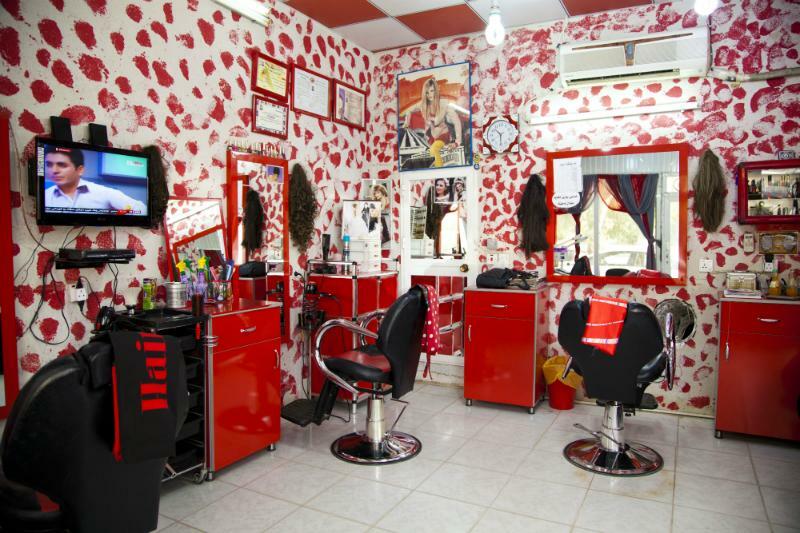 A loan of $10,000 helped to update the style of the salon, most importantly buy new special chairs and equipment. Shlair is a professional hair dresser and beautician with 28 years of experience. 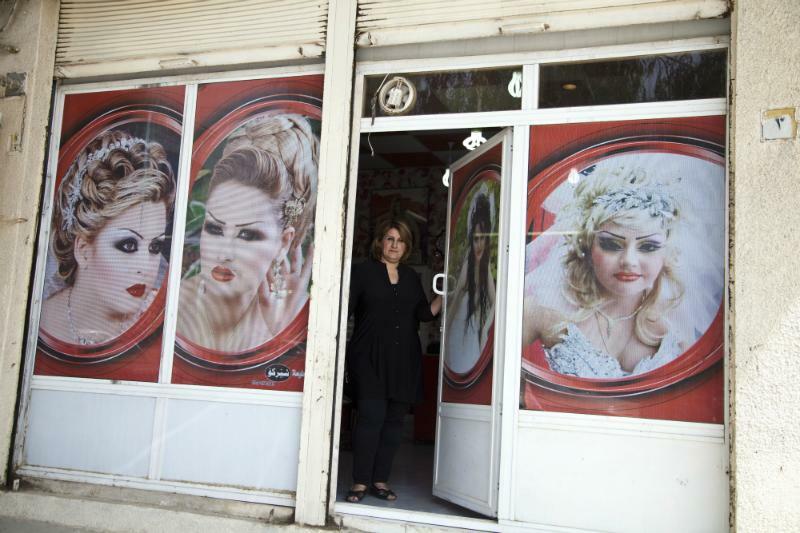 She opened her business in 1986 in Iraq. At the time training institutions were only available in Baghdad where she completed her studies and since continued to participate in various trainings to stay up to date with new techniques. She understands the need and finds it important to provide her customers with the best services. At work as a business woman she has been able to grow her business and employ 3 women; at home as a mother she been a role mother to her two daughters. Both of her daughters are following in her footsteps; one of them is currently working with her while the other has already been able to open her own salon with help from Shlair. She enjoys working with her customers and is happy for having been able to open and maintain a reputable salon. 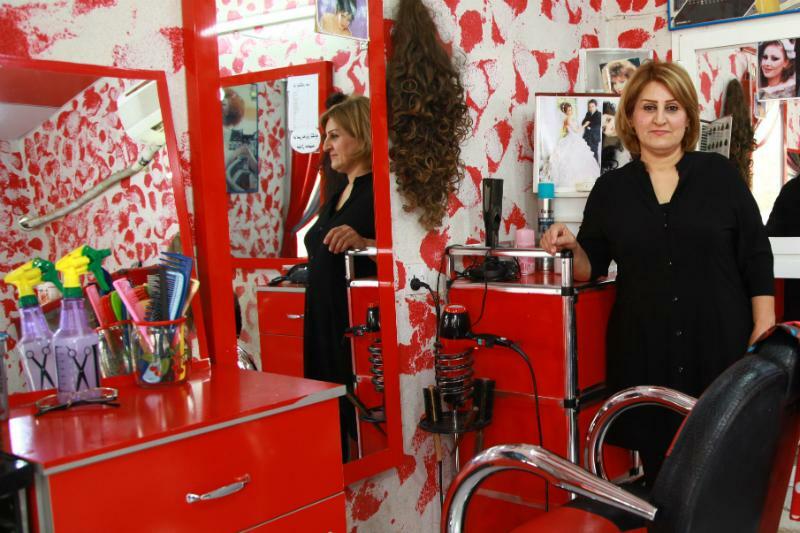 To ensure the salon continues to provide high level services, Shlair decided to take a SME loan from Relief International Microfinance Iraq in the amount of $10,000. She would like to update the style of the salon, most importantly to buy new special chairs for both the hairdressing works and for the beautician’s corner. As she explains, the current chairs are very old, hard to work with and one of them is completely out of order with a broken system. She will also use the loan to purchase additional high quality cosmetics and supplies, and based on her customers' requests, she would also like to buy certain items for retail in the shop and this way help her customers gain access to products unavailable in other shops. After the upgrade of the salon is complete, Shlair’s long term goal is to establish her salon as a teaching institute for other aspiring women interested to work in the field. This loan is part of the WLIFT program (Women Leveraging the Internet for Financial Transformation), a partnership between Kiva, microfinance institution Relief International, the Cherie Blair Foundation for Women and the U.S. State Department. The program combines customized technical assistance with loans for women-owned small and medium enterprises in Iraq to help them grow, increase their profitability, and create more stable jobs in their communities. 1. RI-Iraq offers loans that are customized for borrowers in Iraq, a predominantly Muslim country. A key principle of Islam is the prohibition of charging interest on a loan. This prohibition is based on the belief that money is only a medium of exchange and has no value in itself. In order to offer loans in a manner consistent with borrowers' values, RI-Iraq charges 0% interest on this loan. However, RI-Iraq does charge a servicing fee to cover its costs. The loan amount you see listed on Kiva includes both the principal loan and the loan servicing fees. As with all Kiva loans, you should expect to have your funds returned to you according to this loan’s repayment schedule. For more information on lending in the Muslim world, please click here. 2. Because of on-going security concerns, due diligence on RI-Iraq was conducted remotely, rather than in-person as is typical with most Kiva Field Partners. RI-Iraq does, however, meet all of the other minimum criteria required by Kiva's full due diligence. 3. One of the challenges of lending to entrepreneurs in Iraq is the increased chance of difficulty transferring funds between the United States, where Kiva is based, and Iraq. While Kiva has been able to send and receive funds to and from Iraq in the past, there is a chance that we may encounter problems doing so in the future. This could result in difficulty repaying loan funds to lenders, even if individual borrowers have paid back their loans. As a lender to borrowers in Iraq, you would be taking on this additional risk. Kiva chose to work with Relief International Microfinance Iraq because of its strong social focus and proven ability to target areas of great economic need. RI Microfinance Iraq has one of the smallest average loan sizes of any of the organizations in Iraq, and it also has the highest percent of female borrowers. RI’s focus on group lending allows them to reach borrowers that are otherwise denied access to financial services due to lack of collateral or the inability to find a salaried co-signer as guarantor. RI targets geographic areas that have the highest incidence of poverty, and they intentionally seek to go where other MFIs do not. Kiva’s goal with this investment is to help push the frontier of access to finance in a country with a microfinance penetration rate of less than one percent.